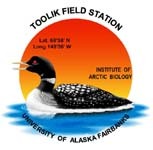 » Chlorophyll a and primary productivity data for various lakes near Toolik Research Station, Arctic LTER. Summer 2010 to 2014. Version 2: March 2016- Data values, sites, dates and metadata corrected and updated and version 5 of this file was created.